Gov. 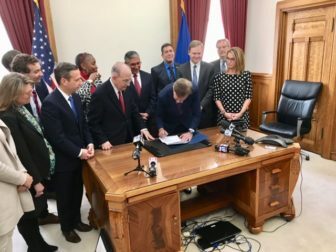 Ned Lamont signs his first bill, a bipartisan measure. 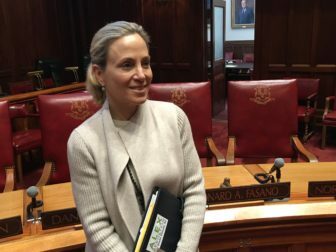 “Connecticut has taken the lead on a national issue and is showing the country that we can work together,” said Sen. Alex Berstein, D-Greenwich, co-chairwoman of the Banking Committee, who called it an excellent example of a public-private partnership. 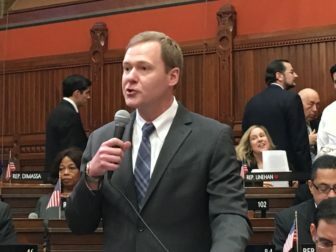 “This is strictly voluntary for the banks and credit unions that want to participate,” said Rep. Ezequiel Santiago, D-Bridgeport, the other co-chairman of the Banking Committee. 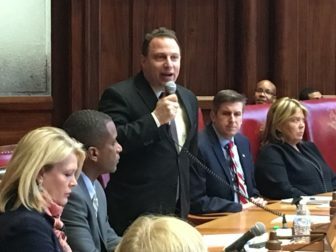 The bill adopted Tuesday in Connecticut also authorizes municipalities to establish a tax-deferment program for affected federal employees, an opportunity that the West Hartford Town Council embraced hours later. This could involve property taxes due on land, buildings, and motor vehicles as well as water and sewage treatment service assessments. Otherwise municipalities would be forced to impose the 18 percent penalty rate on overdue property taxes that is mandated by state law. West Hartford Mayor Shari Cantor said the council suspended its rules to immediately act on the tax deferral plan. 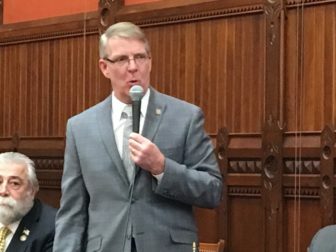 “It is much more basic than that,” Osten said, adding that many of her constituents need the help simply to buy groceries or winter heating oil.